From our most popular collection, Covermates Elite Round Fire Pit Top Covers are designed to cover only the very top of the fire pit while leaving the legs exposed. Elite fire pit top covers are made from 300 denier solution-dyed polyester, meaning the yarns are dyed prior to weaving to achieve optimal colorfastness overtime, and pre-treated for water and UV resistance. Features like an elastic hem and adjustable drawcord provide a snug fit, while a center buckle strap helps secure the cover in place. 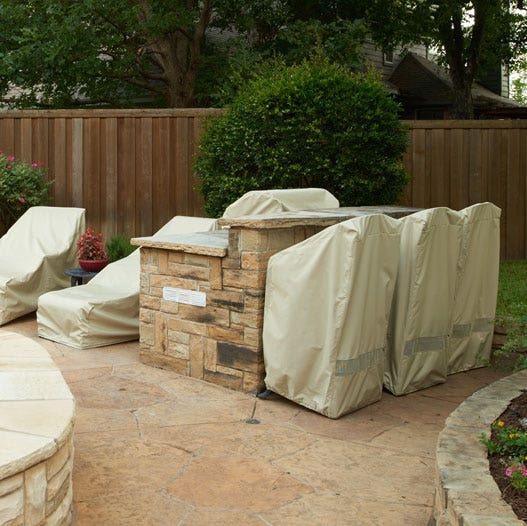 All Covermates Elite fire pit top covers comes with an industry-leading three-year warranty so you can purchase with confidence. The cover got here faster than expected and fits our fire pit really well. We have a 55 inch diameter pit so it was hard to fit but we got the larger size and it covers the pit even with our camp fire logs in it. Looks great and it seems high quality so it lasts! excellent product. fits well and looks very nice. Have only had this a week, but so far so good. Very water repellent and a good fit. it was a perfect fit! we actually ordered this to cover our large round marble coffee table. it works perfect for what we needed! seems to be constructed well, we will see how it holds up to the hot arizona sunshine. Cover is great and fits like a glove. Should last for years. Material strong , good fit, love it! On the "plus side", the cover for my custom fire pit was just right, and the pull string around the edge kept the cover snug under the flagstone lip of the fire pit. I made a little prop in the middle (which sits on the "pan" and glass) to give the cover a "peak" in the middle of the fire pit, so the rain would not gather in the "hole" in the middle. The cover is of good quality and well made.The only negative thing I would say, is that I paid for overnight shipping and did not receive it until 3 days later. This may be because I ordered it on a Thursday night, and it arrived on Monday (after the weekend). We ordered this for our built in place fire pit. It fits over the capstone nicely. It seems to do the job well but I can't speak to longevity as we have only had one rain storm in the few weeks that we've had it. We are happy with the purchase and it matches pretty well with a TV cover that we purchased earlier. I purchased the cover for a fire pit that I made out of flagstone. The cover fit great and looks like it will do what I wanted it to do, and that is to keep out rain water. Excellent quality, good fit, very happy. 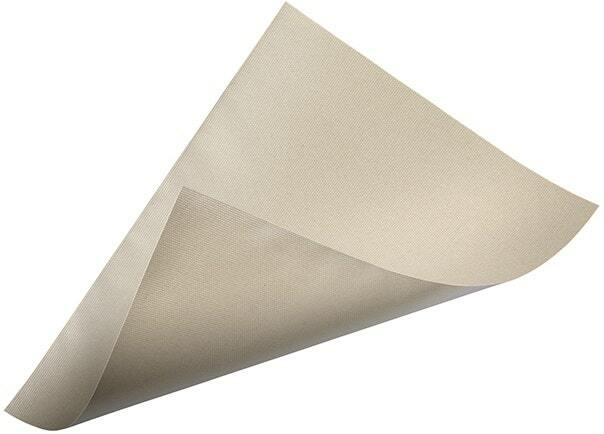 Excellent fit and a very good quality product.